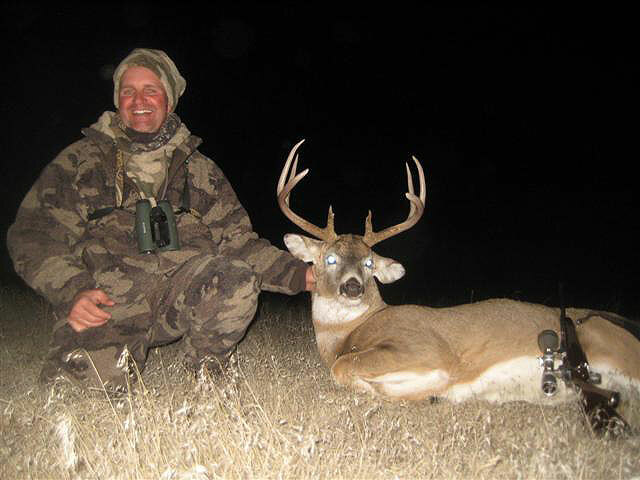 This outfitter has over 100,000 acres in western South Dakota and specializes in harvesting mature bucks. When you have extensive acreage, a modest harvest and an emphasis on mature animals, you can see why they are taking some great bucks. Rifle hunting done by spot and stalk and stand hunting while archers use tree stands, ground blinds and some spot and stalk. The terrain consists of river bottoms, brushy draws, crop fields and food plots. Seeing 50-100 deer a day is not uncommon. Whitetail rifle tags require a draw with the deadline usually being in April. There is also a 2nd and 3rd application deadline in August. The good news is the supply normally exceeds demand so most years there are leftover tags available on a first-come first-serve basis right up until season opens. However this outfitter fills up fast, consequently it is recommended to book well in advance. 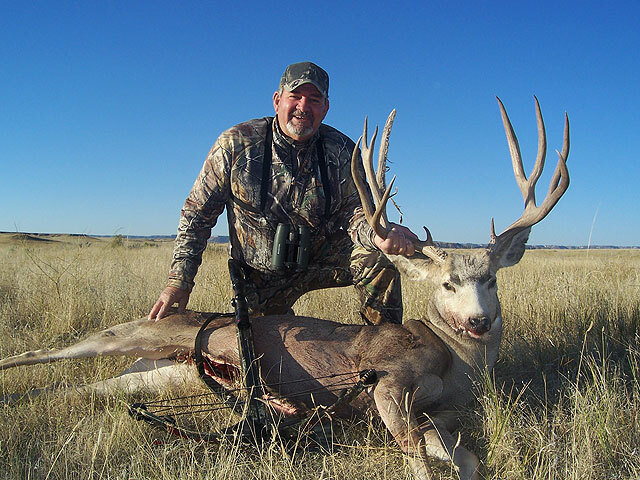 Archery tags are guaranteed and are good for a whitetail or mule deer. Archery season usually runs from the 3rd week in September through the end of December. The rifle season starts the 2nd full weekend in November and runs for 16 days. Hunters may apply as a group. Hunters under the age of 16 must have a Hunter Ed card or a previous license from another state to apply. Included: Meals, lodging, 2×1 guiding (1×1 available for an extra $200 per day). Closest airport is Rapid City. Airport pick-up and drop-off is available for $200 round trip. 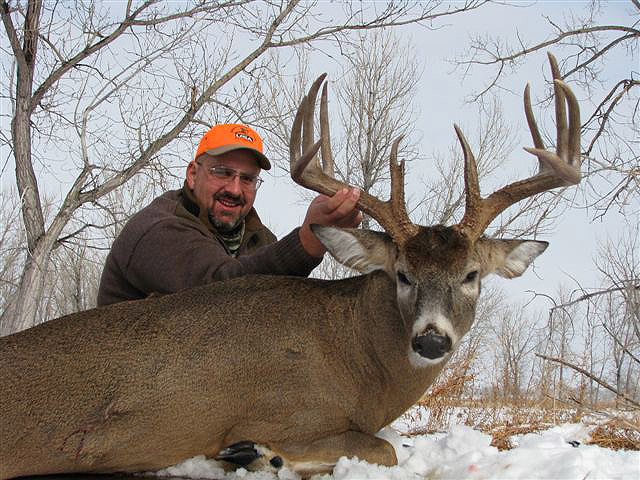 Combination hunts offering whitetails / pheasants are available for an additional fee. Only $2350 for a 6 day hunt! Hunt on over 1000 contiguous acres in Fulton and Schuyler Counties. This is a family-owned and operated farm. The property has a good mix of ag, hardwoods, bedding areas, food plots and water. Only two hunts held per year and and a maximum of 4 hunters on each hunt. 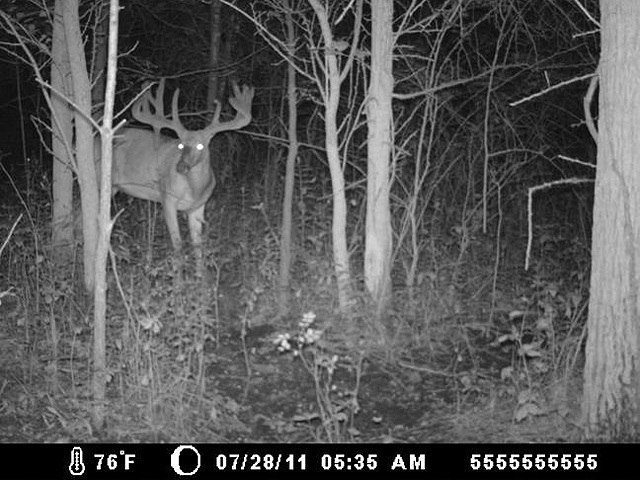 The hunts are scheduled to coincide when the bucks are typically most active. Archery permit applications are due June 1 to June 30 - 100% draw. Leftover licenses have been available in recent years after the June 30 deadline. Cost is $410 for deer permit, $57.75 for NR license and $5.50 for habitat stamp. Includes lodging, field dressing, skinning and caping of your trophy. Meals are not provided but the lodge has a full kitchen for hunters to use. $500 penalty for bucks scoring under 135 P&Y gross. Crossbows are now legal in Illinois. 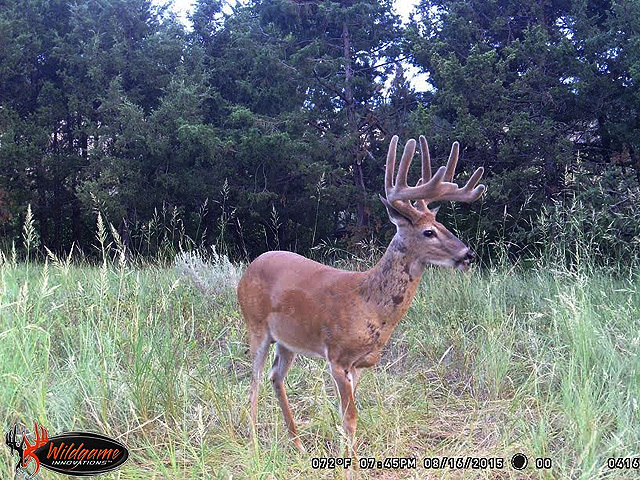 This outfitter has prime leases in a four county area in the beautiful Flint Hills of Kansas. Hunts are held in Units 12, 13 and 14. Hunters are encouraged to hold off for 140 class bucks and higher. Many repeat clients are a result of great success rates, excellent properties and a hard-working outfitter who puts his time in prior to and during the hunt. 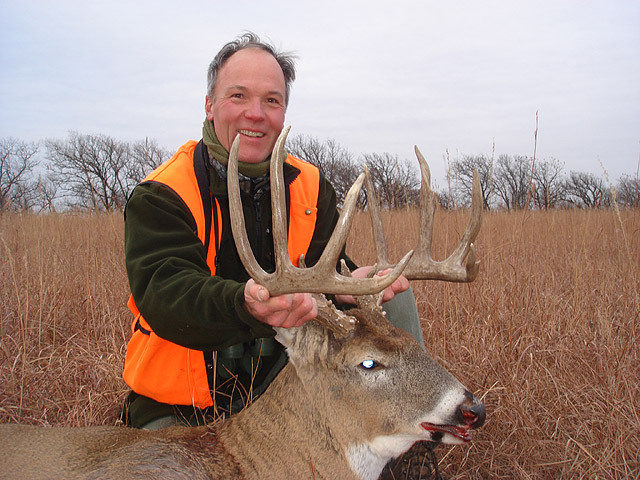 Hunts are held in muzzle loader, archery and rifle season. Permanent stands and blinds are maintained on all properties - portable stands and ground blinds can also be provided or hunters can bring their own stands. Feeders, food plots, and/or crop fields provide plenty of feeding areas for quality deer habitat. 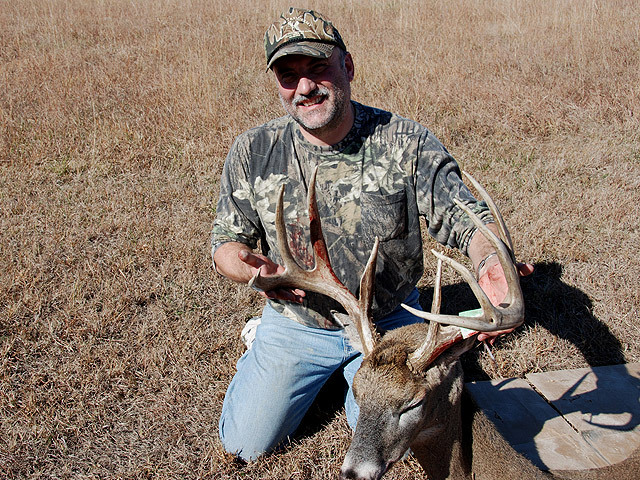 Early muzzle loader hunts can be an excellent time to kill a monster buck! The bucks are still in bachelor groups and are very predictable in their daily movements. The only limiting factor can be the weather. In cool weather there can be lots of action but if it is hot, deer movement is severely restricted and success rates suffer. Because you’re the only group hunting your property during this season, this outfitter allows you to move your dates to accommodate the weather pattern and help you score. Inline muzzleloaders with scopes are legal to use as are sabots and pelletized powder. Archery hunts are held from late September thru December 31. Archery season coincides with the rut when the big boys are cruising for does. 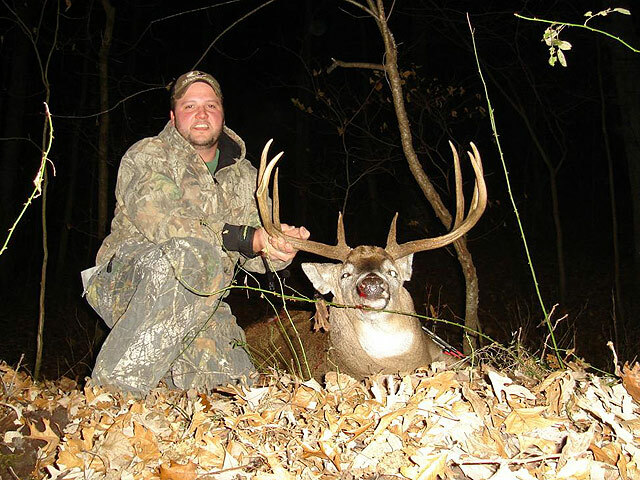 For this reason many of the largest bucks are killed in archery season. The peak of the rut is normally around November 18th plus or minus 6 days. Rifle hunts begin the first Wednesday after Thanksgiving, which is usually after the major rut activity is over. However there is usually some rutting going on the first few days of rifle season. 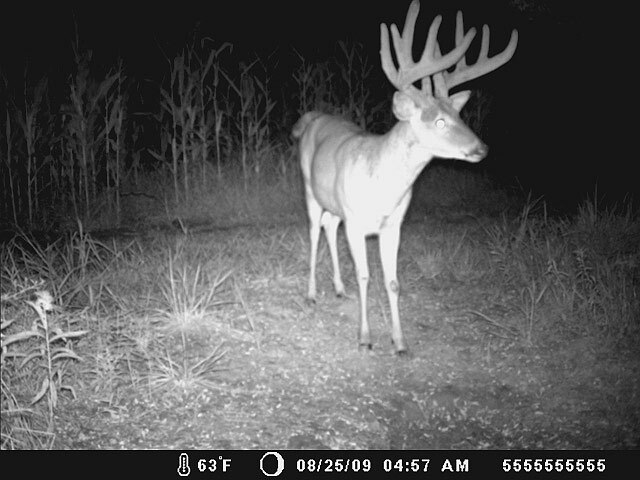 Many great bucks are taken in rifle season and this outfitter will provide you with a property and stands that maximize your shooting opportunities. Unguided hunts do not include meals or lodging. The outfitter will provide a written scouting report and satellite photo map of the property you will hunt. All the stands are numbered and the scouting report will tell you what stands are best for each time of day, weather condition, and wind direction along with any big buck sightings. The outfitter will keep you posted during the fall with trail cam pictures and video clips from the property you will be hunting. Upon arrival you will be shown property boundaries, stand locations (at a distance), and given an area road map, which shows your property along with locations of restaurants and the outfitter’s shooting range. Fully Guided hunts offer two options. One option is complete with lodging and meals and the other with only a daily noon meal included. For either option, this outfitter uses multiple guides as scouts during your hunt to maximize your hunt’s potential. 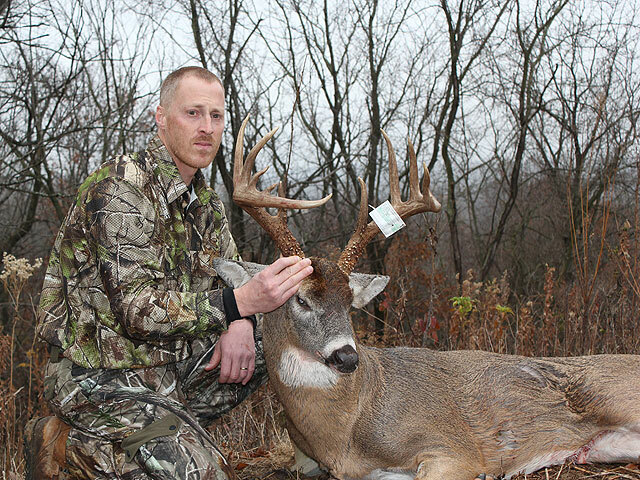 You will be accompanied by a primary guide who will assist you in stand selection and care for your needs during the day while other guides are glassing additional properties in search of your trophy buck. Most mature bucks are sedentary and once located can usually be set up on and taken with the guide’s intimate knowledge of the property. Licenses available through draw only. Application period is April 1-25 - online only. Odds of being drawn are excellent. Drawing date is May 31. Cost of deer permit is $347 and $73 for non-resident hunting license. Kansas law requires that all hunters born after July 1, 1957, must successfully complete a certified hunter education course in order to purchase a hunting license or to hunt. There are exceptions for youth hunters under adult supervision. Kansas does honor certificates of completion from other state approved courses. 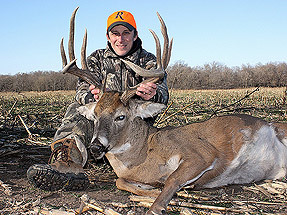 Kansas now allows youth hunters 15 and under and adult hunters 55 and older to use crossbows during the archery deer season. 50% deposit due upon booking and the balance due when your license is drawn. 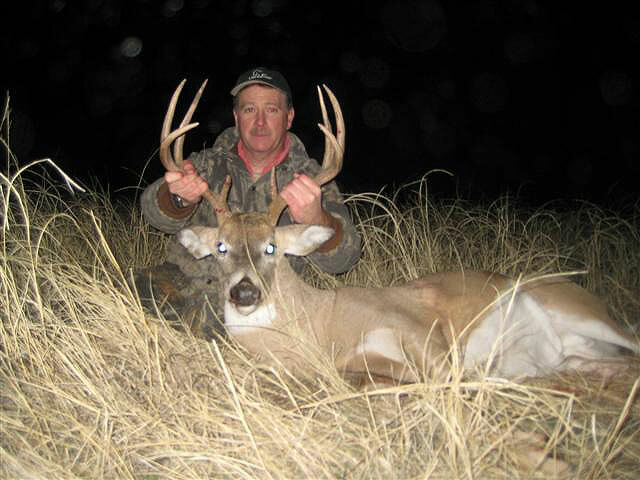 Hunt private ranches in western or central Nebraska for trophy whitetails. Mule deer are the main attraction here so the whitetails haven’t gotten as much attention. This has resulted in some excellent bucks being available. In the past, bucks up to 170 have been taken. 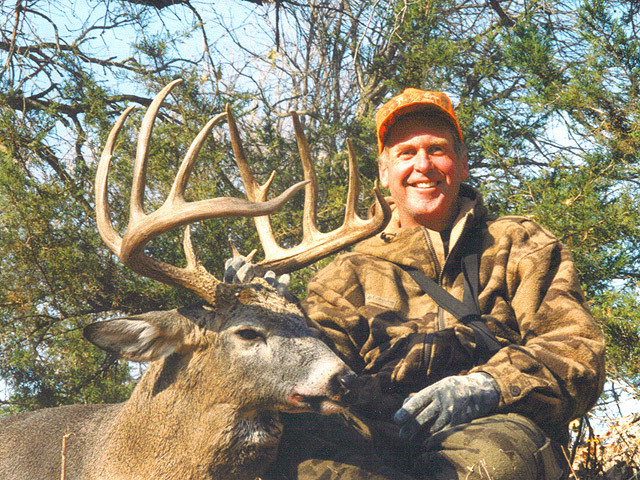 This hunt offers an excellent chance at a 135 or larger whitetail. Unless otherwise specified below, includes stands, meals, lodging, retrieval of game and caping of deer. This archery hunt is offered by the outfitter that has Hunts #37-WD and Hunt #37-MD. 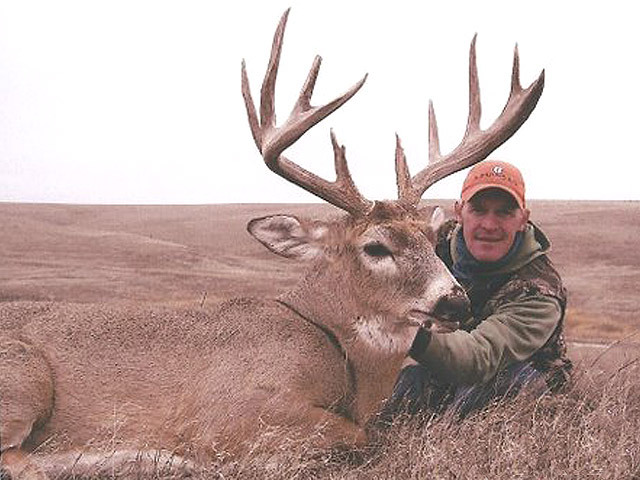 Their ranches in western Nebraska have good numbers of whitetails and antelope along with some trophy class animals of both species. 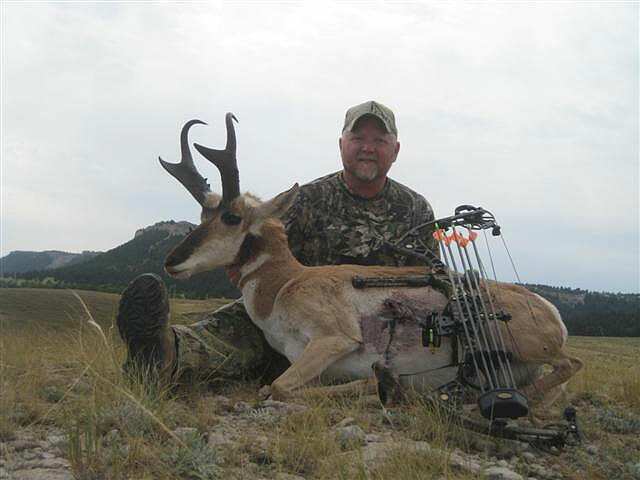 The outfitter specializes in archery hunts and knows how to get it done. 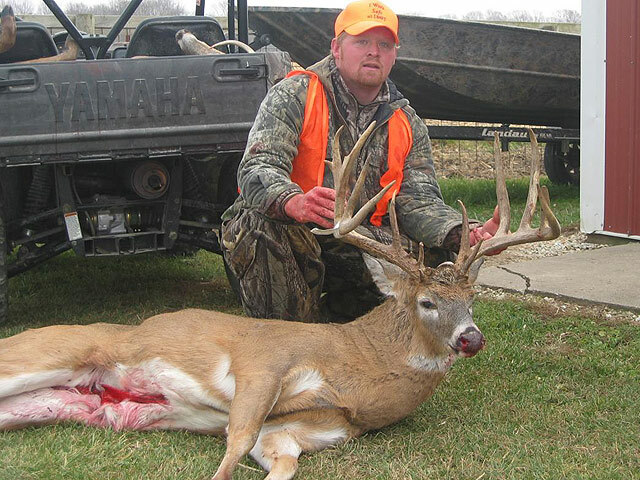 Whitetails normally score between 120-150 with an occasional 170+. Antelope bucks have run 60 to 80+ P&Y. 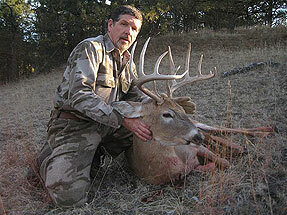 Hunting methods will consist of hunting out of stands and blinds in addition to spot and stalk. One strategy employed is stand hunting for whitetails in the morning and evening and spot and stalk for antelope during the mid-day. See Hunts #37-WD and Hunt #37-PA for additional details. Includes meals, lodging, guide, field care and skinning of animals. License cost is $209 for mule deer and $155.50 for antelope plus a $20 habitat stamp. Licenses are available over-the-counter with no draw. Crossbows are legal to use. 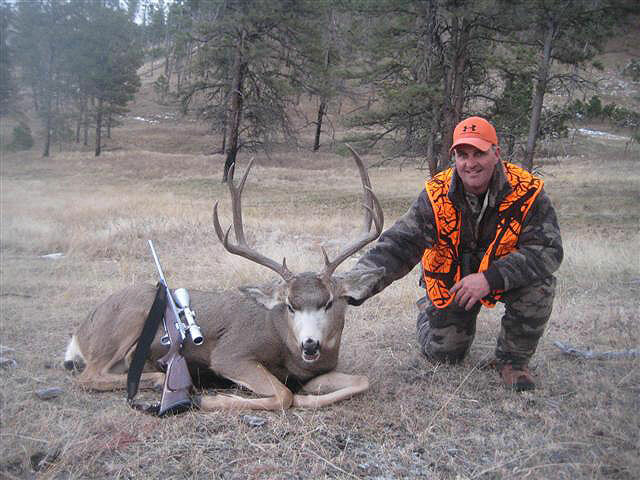 There aren’t many places where you can buy over-the-counter deer tags and hunt whitetails and mule deer on the same hunt. 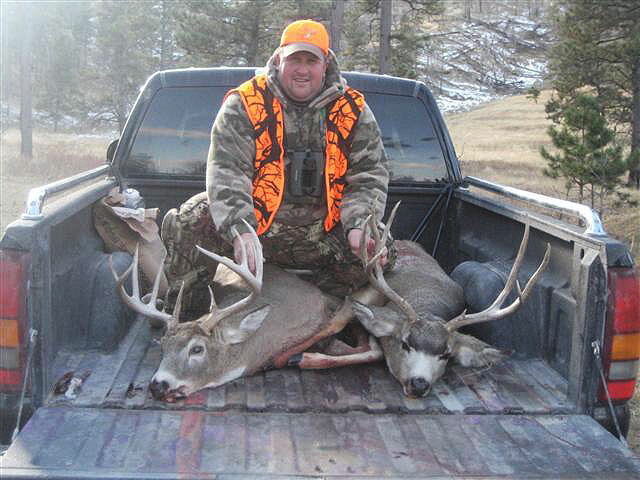 This hunt is for one muley and one whitetail. 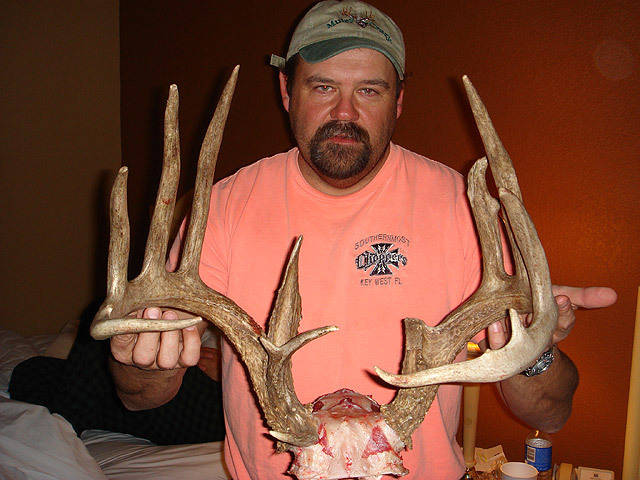 The ratio of muleys to whitetails is around 50/50. Hunts are conducted on various private ranches. Mule deer are typically 165 and up. Bucks 190+ have been taken. 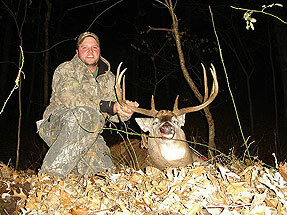 Whitetails are normally 120-150 with some up to 170. 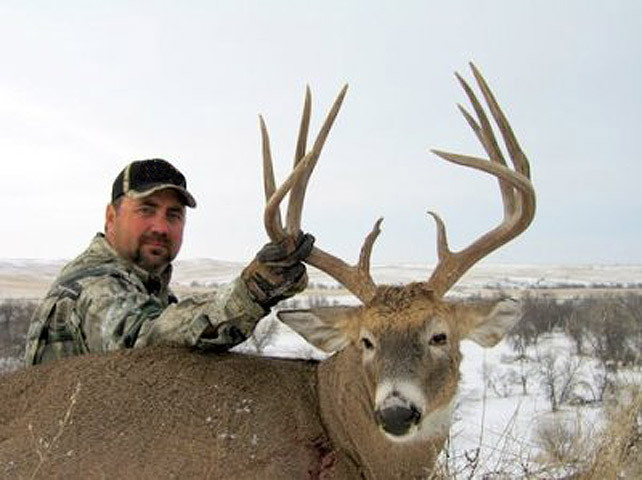 Located in western Nebraska, these hunts are held on over 55,000 acres that are either owned or leased. This area has wide open prairie, agriculture fields, cottonwood stands and pines. 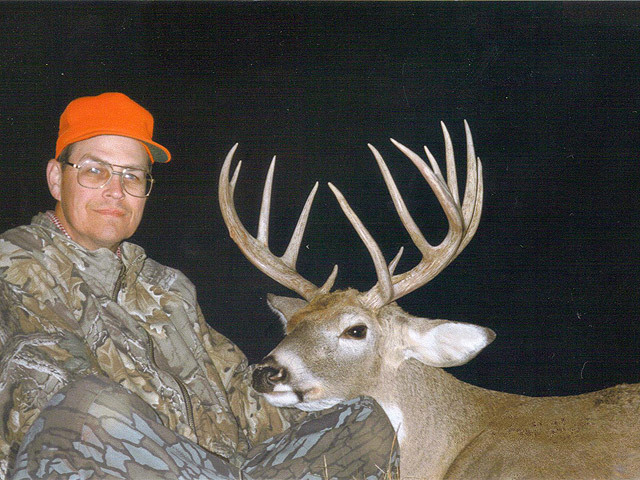 Bowhunts, rifle and muzzleloader hunts are held. The hunter to guide ratio is 3 or 4 hunters per guide. During the course of the hunt, a hunter will normally spend some days on stand and others doing spot and stalk with a guide. Hunters may elect to do the entire hunt from stands. Stands consist of ladder stands, ground blinds or on the ground from high vantage points. Includes meals, lodging, guide, field care and skinning of animals. License cost is $209 plus a $20 habitat stamp. Hunter Education Certification is required for everyone age 12 through 29. 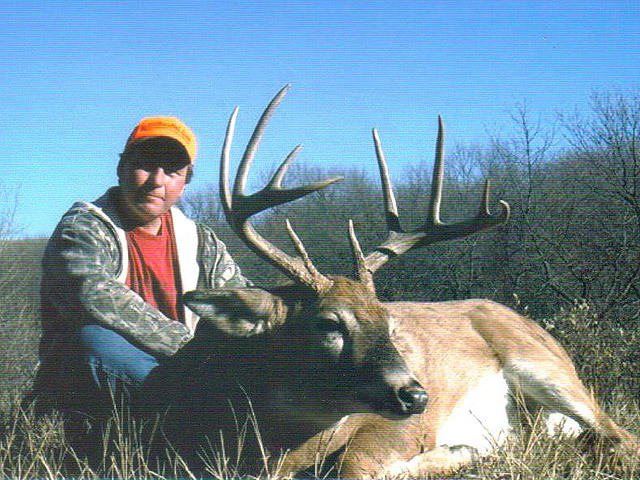 Hunt southcentral South Dakota for trophy whitetails. This outfitter is looking for a limited number of hunters who are willing to pass up bucks under 140. Harvest rates have been around 50% for the past 17 years. The 3000 acre property contains open fields, brushy draws and timbered bottoms. There are sanctuaries that are off limits to hunters. These thick areas provide places where the deer know they can go without being bothered. 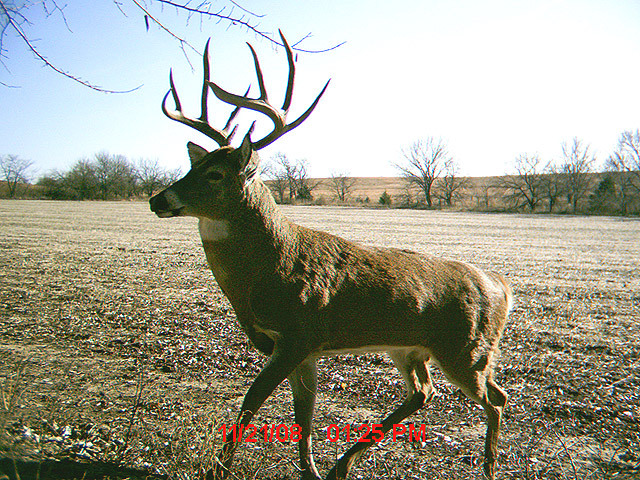 Deer feed on natural browse, agriculture crops, mineral licks and foodplots. 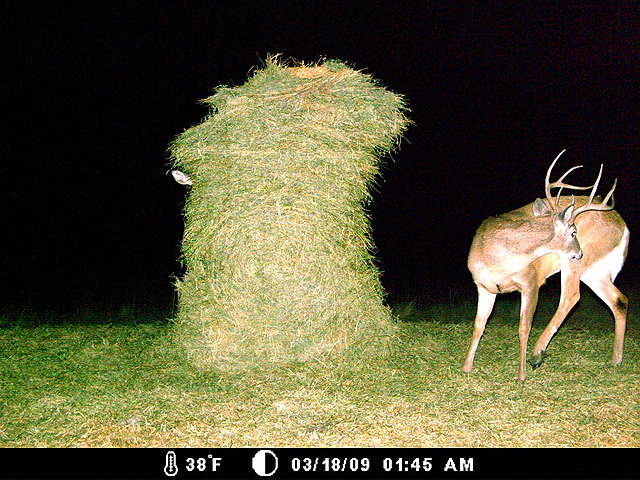 Round bales of alfalfa are provided for the deer throughout the winter. 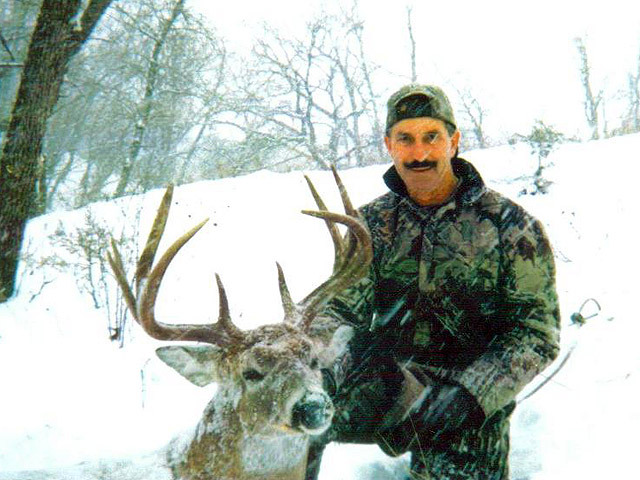 This outfitter is a firm believer in the methods and philosophies of QDM. Tower stands with comfortable chairs and sliding windows overlook bedding areas and travel corridors. Hunters should be prepared to shoot to 400 yards. Licenses are by draw but odds are close to 100%. License cost is $505 for Special Buck license (deadline is late April) and $245 for West River Deer (deadline late July). Hunters are encouraged to apply for the Special Buck license. Hunters may apply as a group. Hunters under the age of 16 must have a Hunter Ed card or a previous license from another state to apply. Included are meals, lodging, 2×1 guide, trophy care, in-field transportation. 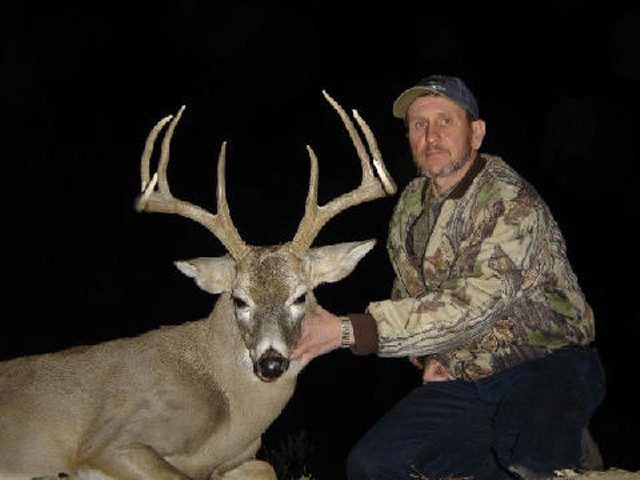 4 Day Hunt - $3950 - Hunts held the second and third week of November.